Both teams in this year’s World Series are teams that the Ballpark Mysteries have visited. In Ballpark Mysteries book #5, The All-Star Joker, Kate and Mike visit Kansas City to see the All-Star game and meet some Royals players. 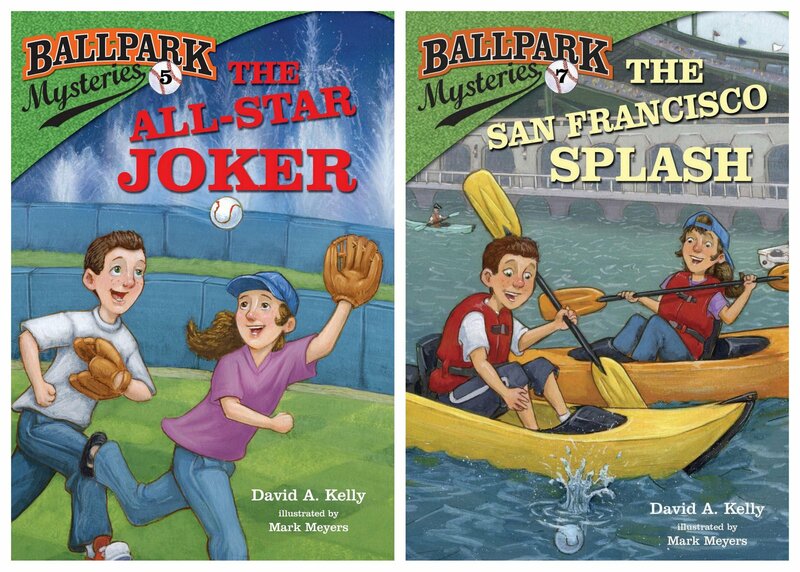 In Ballpark Mysteries book #7, The San Francisco Splash, they head to San Francisco for a game. Both teams in the 2014 World Series are Ballpark Mysteries teams! I’m not saying that the Ballpark Mysteries are the reason that the Kansas City Royals and the San Francisco Giants are in the World Series, but hey, it can’t hurt!